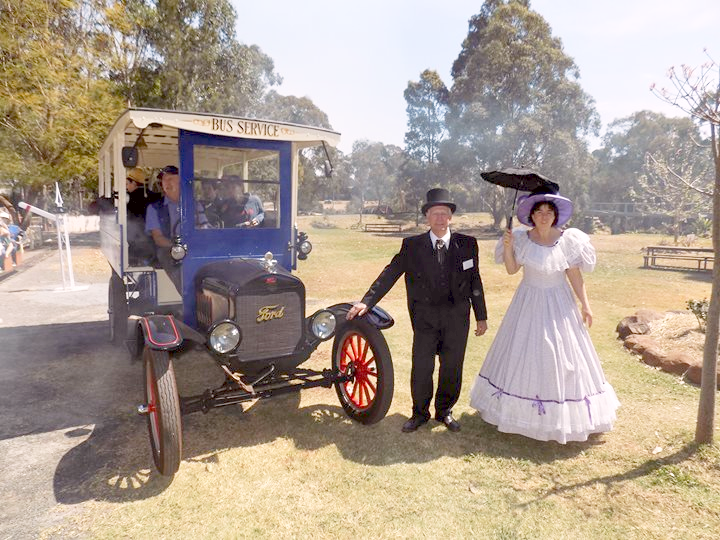 Volunteers at the Highfields Pioneer Village are having a special running day on Saturday, 3rd of March for the Model T Ford Bus, which gives rides around the Village grounds. ‘Henry’ as he is affectionately known at the Highfields Pioneer Village was manufactured in 1924 and originally used as a school bus for the Kilcoy State School from 1924 to 1940. Henry the Model T Ford bus can carry 12 people at once and is available for rides for birthday parties, school groups, and weddings and also on the last Sunday of each month where Henry the Bus teams up with Myrtle May the Miniature Steam Train to entertain the kids. A ride in Henry is the perfect opportunity for people who wish to have a sneak preview of the Village without purchasing a full entry ticket. Tickets for Henry are $3 per child and $5 per adult, children under 5 years are required to have an adult accompany them. Highfields Pioneer Village in Wirraglen Road is open every day except Christmas Day from 10am to 4pm. For more information please phone the Village office on (07) 4696 6309. Highfields Pioneer Village is run entirely by Volunteers dedicated to preserving the History of the Darling Downs for Future Generations.